I. From Christian antiquity, priests and people have celebrated the Holy Eucharist by facing together towards the Lord. This simple and obvious theological precept has been somewhat obscured in the last generation by the novel practice of the priest standing across the altar from the people during the Eucharistic Prayer, a custom almost never before found in the sacred liturgy except for rare instances of architectural necessity, and in the last few years, theologians and pastors have begun to review this novelty in light of the best scholarship and the experience of the past 40 years. Before he became Pope Benedict XVI, Joseph Ratzinger was one of most thoughtful and respected critics of the unintended consequences which flow from the priest and people facing each other across the altar during the Eucharistic Prayer. Ratzinger argued that this arrangement, in addition to being a radical novelty in Christian practice, has the effect of creating a circle of congregation and celebrant closed in upon itself rather than allowing the congregation and celebrant to be a pilgrim people together turned towards the Lord. 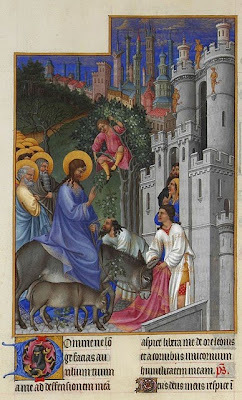 And this closed circle, in turn, too easily renders the Eucharist more of a horizontal celebration of the congregation gathered than a vertical offering of the sacrifice of Christ to the Father. This flattening of divine worship into a self-referential celebration is, in part, what leads many Catholics to experience Mass as much less than the source and summit of the Church’s life, and the remedy for this malady is to open the closed circle and experience the power of turning together towards the Lord. This can be done primarily in two ways: 1) return to the ancient and universal practice of the priest standing with the people on one side of the altar as they together face liturgical East, the place from which the glory of the Lord shines upon us, or 2) even when the priest and people remain separated on opposite sides of the altar, place a cross at the center of the altar to allow both celebrant and congregation to face the Lord. Pope Benedict, through his writing and by his example, is encouraging priests everywhere to work towards these goals to enrich the experience of divine worship and free us from the danger of solipsism which is contained in self-referential ways of praying. This is why you see today in the sanctuary a new crucifix standing at the center of the altar. In the weeks ahead, as we grow accustomed to this gentle modification of the way we pray together, I will review with you the meaning and practical consequences of the priest and people turning together towards the Lord. For those of you who would like to read about these matters in some depth, I recommend two books. The Spirit of the Liturgy by Joseph Ratzinger and Turning Towards the Lord by Uwe Michael Lang are both excellent places to learn about the nature and purpose of divine worship and the ways in which the Church’s ritual must reflect the reality of the sacred in liturgical prayer. II. The ritual forms of Catholic worship have changed and evolved many times throughout the centuries, and the architectural arrangements for the celebration of these ritual forms have likewise changed. Ordinarily, this process of change is slow, deliberate, and incremental, but in the 1960’s the Church experienced an intense burst of change which dramatically altered both the ritual forms of our worship and the architectural arrangements of our churches. Because there were so many changes in such a short span of time, all of the alterations were considered by most people to be essentially connected to each other, but that is not the case. A good example is the use of Latin in the liturgical texts promulgated after the Second Vatican Council. 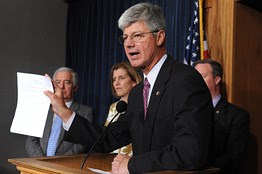 Many people falsely believe that because Vatican II permitted the use of the vernacular languages in worship, the Council banished Latin from the modern Roman Rite. In fact, however, the same Council which permitted the use of the vernacular also insisted that all Catholics should be able to say and sing their parts of the new Mass in Latin. Celebrating the modern Roman Missal in Latin, therefore, is not in any way a rejection of the Second Vatican Council; rather, the regular use of Latin in modern worship is precisely what the Council Fathers called for. A similar confusion exists with respect to the location of the altar and the place of the priest at the altar. From Christian antiquity, most churches had only one altar, and it was freestanding, meaning that the priest could walk completely around it during the celebration of the liturgy. This custom was retained in the Christian East by Orthodox and Catholics alike, but in the West the altar was gradually pushed back from the center to the rear wall of the sanctuary, in large measure to allow it to merge architecturally with the tabernacle. This change was later accompanied by adding additional altars to most churches, eventually yielding the custom of having three altars in each church. Even before the Second Vatican Council, pastors and theologians began to argue for a return to our own tradition of having but one altar in each church and insisting that it once again be freestanding. This was, in part, the fruit of the Liturgical Movement of the 19th and 20th centuries which reminded the Church, among other things, that the altar is the preeminent symbol of Christ in the liturgy. Accordingly, throughout the Western Church the old “high altars” found at the rear of the sanctuary were abandoned, changed, or replaced to allow the ancient and new custom of a freestanding altar. But just as this was happening, a novelty was introduced and attached to the newly detached altar: the custom of the priest and people facing each other across the altar during the Eucharistic Prayer. 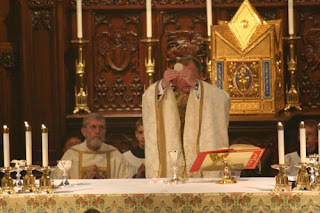 How and why this novelty spread so far and so fast is a tale for another time and place; for now I want only to make this point: there is no essential connection between the liturgy of Vatican II, the freestanding altar, and the priest facing the people at the altar. 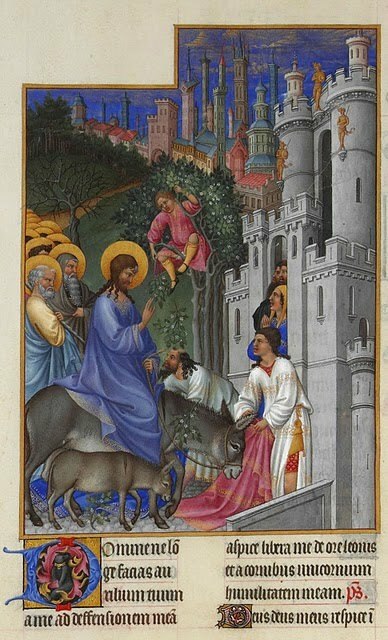 In fact, even now the rubrics in the modern Roman Missal are written with the assumption that the priest and people are together facing liturgical East during the Mass, and as I explained last week, Pope Benedict XVI wants Catholics everywhere to understand that to be faithful to our own tradition, we must live in continuity with the Church’s worship in every age. 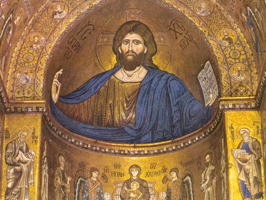 For these reasons, since the building of Christian churches began on a large scale in the fourth century, they have literally been “oriented” to the East wherever local geography permitted this, and even when the building could not run on an east-west axis, the apse of the church and the altar within it have been understood as “liturgical East”, the symbolic place of the glory of the Lord. Moreover, because the Eucharistic Prayer is addressed to God the Father and not to the congregation, the normal posture of the priest has always been to face the East with his congregation and offer the sacrifice of the Mass with and for them to the Father. Accordingly, it is a simple mistake to think of the priest as “having his back to the people” when they stand together on the same side of the altar; rather, the priest and people by their common “orientation” show that they are turning towards the Lord, a physical metaphor for the interior work of conversion which can thought of as the “reorientation” of our lives. This is why in nearly every place and for almost all of Christian history, the priest has stood with his people on the same side of the altar so that, together facing the East of the sacred liturgy, they could offer their lives while pleading the sacrifice of Christ, and it is this deep dimension of our common prayer which Pope Benedict wants us to retrieve from our own tradition. IV. One objective of the liturgical reforms of the 1960’s was to encourage the active participation of the Catholic people in the celebration of the sacred liturgy, in part by reminding them that they are participants in, not spectators of, offering the sacrifice of praise at the heart of all Christian worship. Unfortunately, in the years following the Second Vatican Council, the Church’s desire that all the faithful participate fully in the sacred liturgy was too often rendered a caricature of the Council’s teaching, and misconceptions about the true nature of active participation multiplied. This led to the frenzied expansion of “ministries” among the people and turned worship into a team sport. But it is possible to participate in the liturgy fully, consciously, and actively without ever leaving one’s pew, and it is likewise possible to serve busily as a musician or lector at Mass without truly participating in the sacred liturgy. Both of these are true because the primary meaning of active participation in the liturgy is worshipping the living God in Spirit and truth, and that in turn is an interior disposition of faith, hope, and love which cannot be measured by the presence or absence of physical activity. But this confusion about the role of the laity in the Church’s worship was not the only misconception to follow the liturgical reforms; similar mistakes were made about the part of the priest. Because of the mistaken idea that the whole congregation had to be “in motion” during the liturgy to be truly participating, the priest was gradually changed in the popular imagination from the celebrant of the Sacred Mysteries of salvation into the coordinator of the liturgical ministries of others. And this false understanding of the ministerial priesthood produced the ever-expanding role of the “priest presider,” whose primary task was to make the congregation feel welcome and constantly engage them with eye contact and the embrace of his warm personality. Once these falsehoods were accepted, then the service of the priest in the liturgy became grotesquely misshapen, and instead of a humble steward of the mysteries whose only task was to draw back the veil between God and man and then hide himself in the folds, the priest became a ring-master or entertainer whose task was thought of as making the congregation feel good about itself. But, whatever that is, it is not Christian worship, and in the last two decades the Church has been gently finding a way back towards the right ordering of her public prayer. In February 2007 Pope Benedict XVI published an Apostolic Exhortation on the Most Holy Eucharist entitled Sacramentum Caritatis in which he discusses the need for priests to cultivate a proper ars celebrandi or art of celebrating the liturgy. In that document, the pope teaches that “the primary way to foster the participation of the People of God in the sacred rite is the proper celebration of the rite itself,” and an essential part of that work is removing the celebrant from the center of attention so that priest and people together can turn towards the LORD. Accomplishing this task of restoring God-centered liturgy is one of the main reasons for returning to the ancient and universal practice of priest and people standing together on the same side of the altar as they offer in Christ, each in their own way, the sacrifice of Calvary as true worship of the Father. In other words, the custom of ad orientem celebration enhances, rather than diminishes, the possibility of the people participating fully, consciously, and actively in the celebration of the sacred liturgy. + the Second Vatican Council said not one word about the direction in which the priest should face at the altar, and even now the rubrics of the modern Roman Missal are written with the assumption that the priest is facing East at the altar. 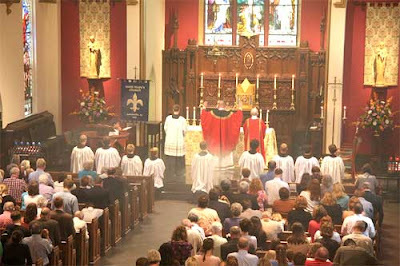 Moreover, the Congregation for Divine Worship has clarified that facing East and facing the congregation are both equally lawful and that no special permission is needed for the priest to face the East, a fact underscored recently by Pope Benedict’s public celebration ad orientem, something he does everyday in his chapel. For all of these reasons, we will begin to celebrate Mass ad Deum at St. Mary’s sometime between Easter and Pentecost, after all the clergy and servers have been prepared for the logistical changes which will attend this development. This return to our own tradition is not an exercise of change for the sake of change; it is, rather, an effort to respond to the leadership of our Holy Father, who reminds us that what has been held sacred by all generations of Christians is to be held sacred by us. Let’s work together in this retrieval of an ancient and noble part of Christian prayer to see how it might strengthen our union with the Lord Jesus and deepen our capacity to worship the Father in Spirit and truth. Post Script. 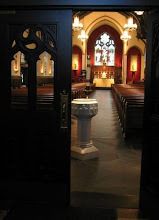 During Eastertide 2008 we made the move to ad orientem worship after weeks of careful catechesis and preparation, and since then almost every Mass celebrated at St. Mary’s has been celebrated ad orientem. The results have overwhelming positive, and now it is both both priests and people the most natural thing for us to face the same direction as we plead the Holy Sacrifice. Every priest who celebrates Mass in our church is free to choose his posture at the altar, and so visiting clergy often choose to celebrate versus populum, which requires only moving the crucifix and candle sticks to the other side of the mensa. In this way, the people of the parish see and learn that both postures are legitimate ways of celebrating the sacred mysteries and that no ideological statements are necessarily connected to the direction in which the priest faces at the altar.